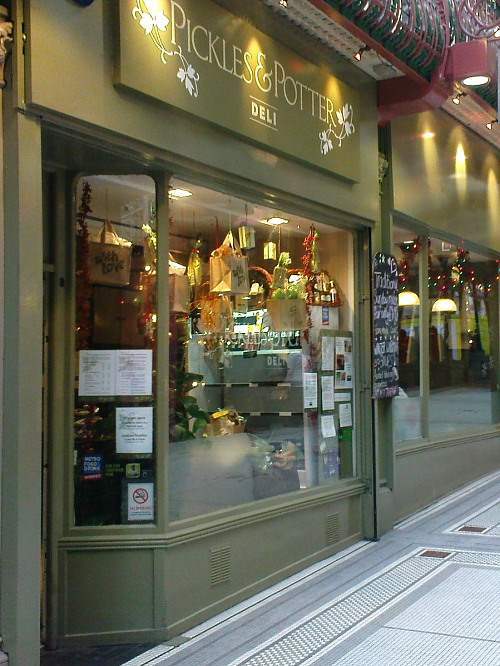 I took a break from Christmas shopping yesterday for a sandwich at Pickles & Potter’s deli in Leeds’ Queens Arcade. This is the first time I’ve eaten there, as each time I’ve walked past, the queue has snaked out of the door. The place looks fantastic – a bit purposefully shabby and hippy–ish, with chalkboards full of well-thought out sandwiches and other small dishes. 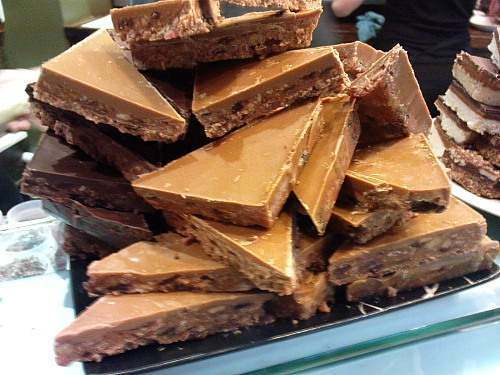 Plates piled high with handsome and very tempting flapjack, biscuits and cakes are on the counter, right at the front in the customer’s line of sight, making a statement…’look at our flapjack with caramel on top. You like it? Imagine what else we can do’. I had one of the specials – a (no surprise here) turkey and stuffing sandwich, with a cranberry chutney. I chose this for a specific reason. The Boxing Day turkey sandwich is one of the finest meals of the year, and I secretly anticipate it much more than Christmas dinner itself. I plan what’s going into my turkey sandwich with meticulous care, and well in advance, sometimes as early as November. This year, I’ve got a very clear view of how I’ll make it. So, a turkey sandwich has a lot to live up to, and provides a stern test of an establishment’s sandwich making prowess. I was told by the slightly nervous lady that mine would be the first she’d made, which made me a bit nervous too. I looked away respectfully as my lunch was assembled. The results? I haven’t enjoyed a humble sandwich so much since, well, last Boxing Day. The turkey was perfectly cooked, still moist, and was accompanied by a deeply savoury stuffing and a superb cranberry chutney, which had just the right balance of sugar to counter the tartness of the fruit. The bread was fresh and doughy. It was nearly a transcendental experience. I don’t think I could recommend Pickles & Potter more highly. It’s absolutely superb.